"The Elvis Archives": Hype or Value for Money? Hype. One of the definitions I have found reads, "To increase or seek to increase the importance or reputation of by favorable publicity." Hype is also a noun: "Exaggerated or extravagant claims made especially in advertising or promotional material." The significance of hype, then, is that it builds one's expectations of the importance of its subject. Because one's expectations are increased greatly by hype, the danger of hype is that the disappointment felt when the subject of the hype eventually becomes reality will be great. Great expectations, great disappointment. The hype surrounding "The Elvis Archives" has been great indeed: writers of some considerable importance in the Elvis world, rare and seldom seen photos, colour photographs, and "an exclusive and objective account of the extraordinary life of Elvis Presley." This is what is promised in glossy brochures and press releases by a respected and major publishing house, indicating a publication of special significance and quality. The authors are indeed well known. The name of Todd Slaughter must be one of the best known in the Elvis world. He took over the running of the Official Elvis Presley Fan Club of Great Britain (and The Commonwealth, as it was then) in 1967 and still runs it successfully. During his forty years at the helm (with just a brief respite for a heart operation), Todd has exerted considerable influence in the Elvis world and, in so doing, has gained respect and enemies. His achievements, however, cannot be minimised. Anne E. Nixon has been an Elvis fan for almost fifty (yes, five-oh) years and is well know, especially to readers of "Elvis Monthly" and the magazine of the Official Elvis Presley Fan Club of Great Britain. 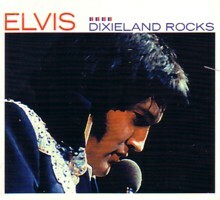 She wrote "Elvis, Ten Years After," published in 1987. With such names and the promise of such a collection of photos, "The Elvis Archives" would seem to be the Elvis book that every fan simply must have. And, planned for publication at around the time of the seventieth birthday celebrations, that is probably what the publisher hopes that every fan will think. Unfortunately, the reality is very different and I find this very disappointing. Perhaps Todd's name has been used to add some allure to the book; perhaps Todd helped select or provide the photographs. I suspect that the text was written by Anne Nixon; I seem to recognise her style, anyway -- pleasant enough to read, certainly, but little else. Indeed, the text is no more than a very basic bio, of the type found in = any number of illustrated books aimed at fans, such as Kirkland's "Elvis," even if here it all seems more carefully researched and written. Fair enough, but do we really need this sort of thing still, in the wake of the masterful "Last Train To Memphis" and "Careless Love"? Surely we are past the basic bio stage and into more in-depth studies of Elvis and his role in music and social history. 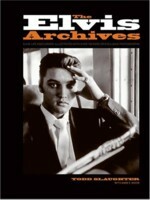 According to the press release, "The Elvis Archives" is "filled with over 100 rare and exclusive color photographs," a claim repeated in as many words on the cover of the book. However, the photographs are largely the usual selection; there is not a single photograph in colour, unless you consider sepia-tinted, or blue-tinted monochromes to = be colour. There is enough of those, as well as other tints and standard black and white monochromes. But no colour photos. And the claim that they are rare is just ridiculous. 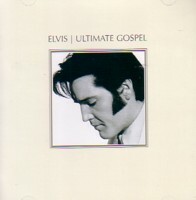 Some readers might not be familiar with the pics of British DJ Jimmy Savile meeting Elvis, of former British pop star Billy Fury looking admiringly at Elvis, or of former Elvis Monthly editor and UK fan leader Albert Hand in the company of his idol, but such photos can hardly be referred to as "rare," yet these are just about the rarest in the book. 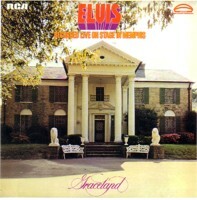 Verdict: In no way is "The Elvis Archives" the special book suggested by the hype. It is a standard illustrated fan book, of which there are already more than enough, nothing more. In that respect it is acceptable. A decent enough book, perhaps, for the newer Elvis fan, but it is a book that is unfortunately redundant for most of us. Great disappointment, indeed!